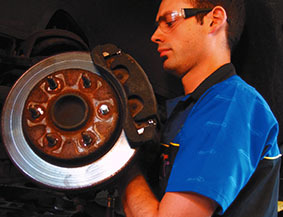 Feel confident in your vehicle’s stopping power with regular brake checks. Brake service may include replacement of worn brake pads and brake shoes, resurfacing brake rotors or drums, and replacing brake fluid. Needs vary by condition of the brakes. When should I have my brakes checked or serviced?